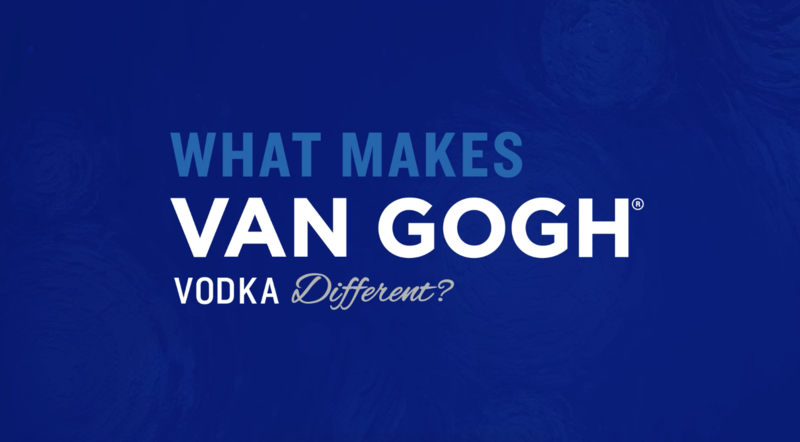 What makes Van Gogh Vodka different? One look at a Van Gogh masterpiece and the viewer is instantly transported into uncharted lands. From Provence’s Starry Night to the Wheat Fields of Cypress, the observer enjoys a unique taste of each country. At Van Gogh Vodka, we strive to bring that same transcendental experience to each bottle. Like the brushstroke of Van Gogh, our unique combination of tastes are vibrant and unlike any other in the industry. Our Master Distiller, Tim Vos, takes painstaking measures to handcraft each batch for an ultra-smooth, high-quality vodka. Every phase in the multi-step process contributes to our masterpiece, but the first step, cultivating the wheat, is what makes Van Gogh Vodka stand out above the rest. Pour yourself a glass and unearth a complex, well-balanced taste of Holland, France and Germany. The wheat from these three regions playfully blend together for a soft, yet striking finish. Watch our video and discover how our terroir-based vodka uses triple wheat to perfect The Art of Vodka.